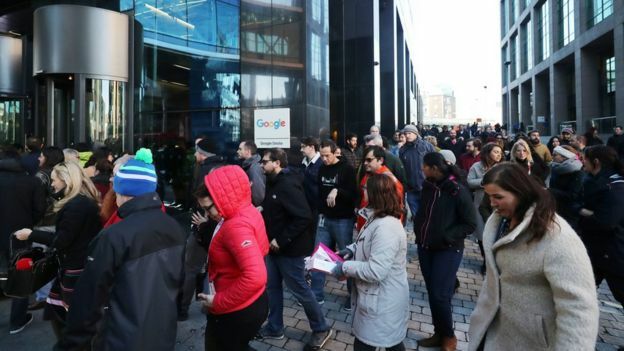 Employees are walking out of Google offices worldwide in protest today as a storm around the company’s handling of sexual harassment cases continues to gather strength. 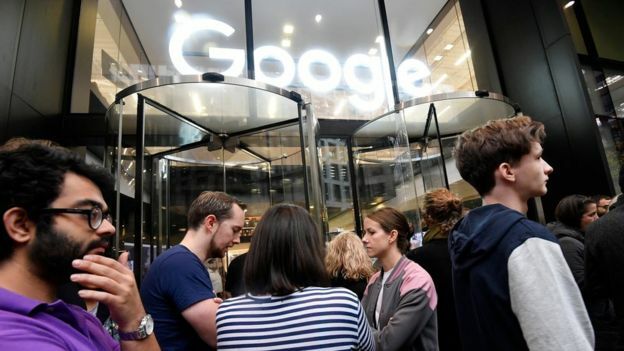 Organizers of the Google Walkout for Real Change tell The New York Timesthat more than 1,500 employees, mostly women, are planning to walk out from more than 60 percent of Google’s offices at 11:10AM as timezones roll around the world. "I understand the anger and disappointment that many of you feel," he said in an all-staff email. "I feel it as well, and I am fully committed to making progress on an issue that has persisted for far too long in our society… and, yes, here at Google, too." 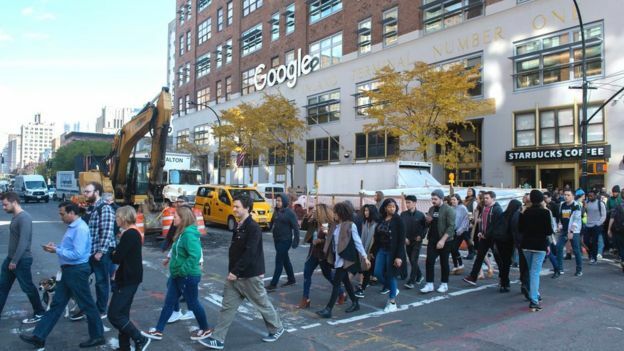 A Twitter feed titled @googlewalkout has documented the movement at Google's international offices. 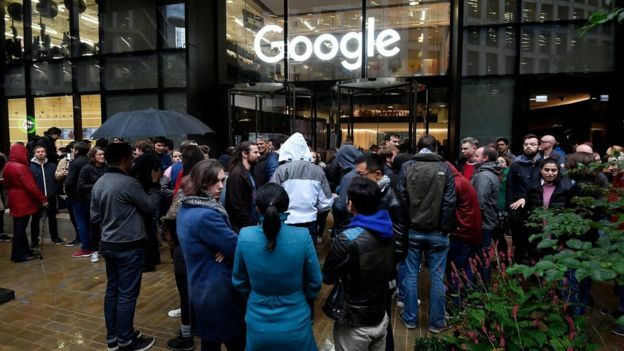 Google staff in Singapore, Zurich, London, Tokyo, Berlin and New York were among those to take part. 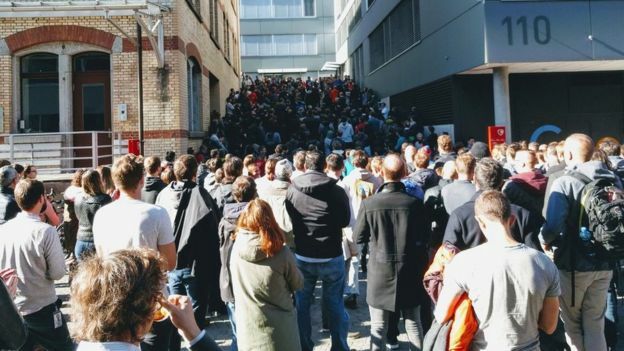 Web developer Sam Dutton who joined the walkout in London told the BBC: "We're walking out to support colleagues in any workplace that have suffered harassment and to ensure that perpetrators aren't protected or rewarded." Anger at the firm has boiled over in the past week since the New York Times alleged that one high profile executive received a $90m payout after he left the firm, despite what Google considered a “credible” allegation of sexual misconduct made against him. Andy Rubin, known as the “creator” of the Android mobile operating system, denies the allegation. On Tuesday, another executive - this time from the company’s X research lab - also resigned. Richard DeVaul was said to have made unwanted advances towards a woman who was recently interviewed for a job in which she would have reported to Mr DeVaul. Mr DeVaul has not commented since his resignation, but in the past called the incident an "error of judgement". 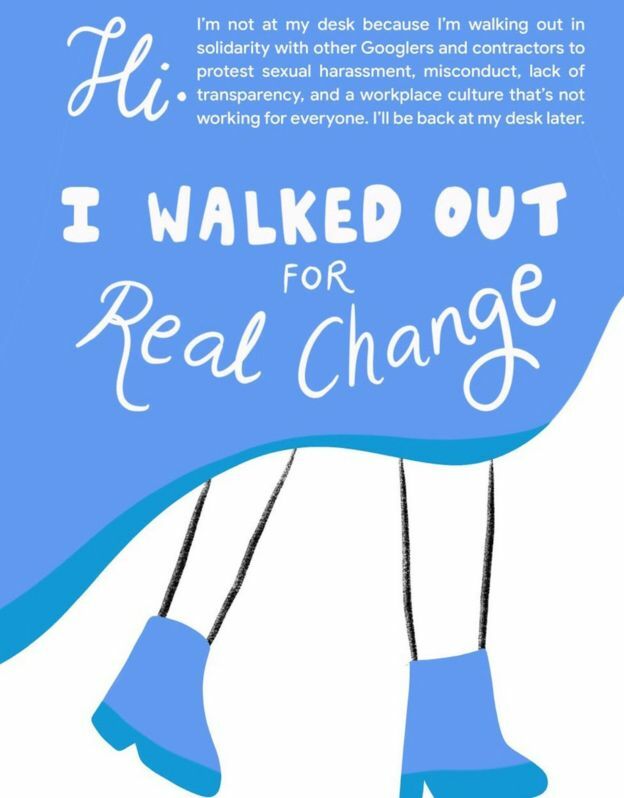 At least 48 other employees have been sacked for sexual harassment without receiving a payout, Mr Pichai told staff. He admitted the New York Times’ report had been "difficult to read". 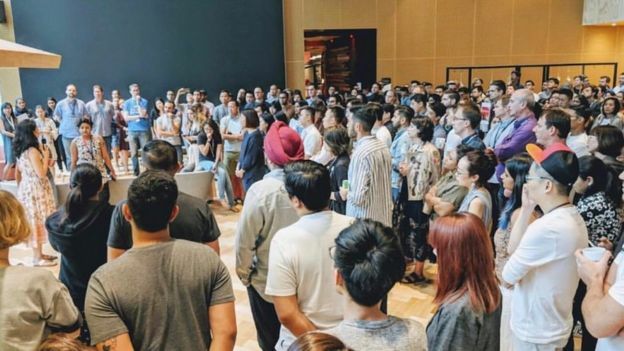 "Employees have raised constructive ideas for how we can improve our policies and our processes going forward,” said Mr Pichai in a statement on Wednesday evening. "We are taking in all their feedback so we can turn these ideas into action." What else are Google employees angry about? "Women are fed up, and I don't think it's just women,” said Prof Kellie McElhaney, from the Haas School of Business. "There are a lot of ‘manbassadors' out there who are equally as fed up and using their positions of power and voice, which can cost Google money. I think you have to hit these companies where it hurts. 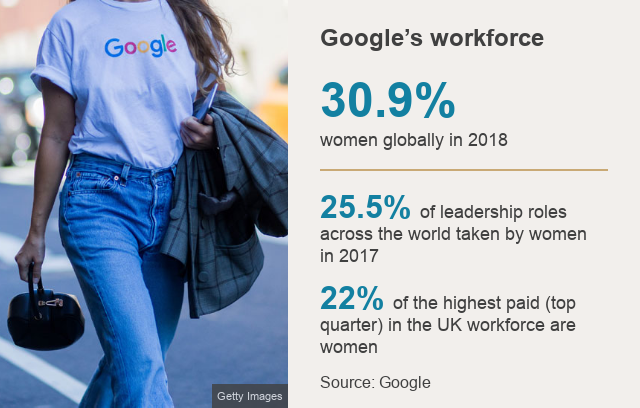 "I think it empowers other Google offices when women and men are watching this happen, that they can do a similar action that's not just sitting by or making comments to one another or sharing emails." “It’s clear the executives won’t do this for us so we’re taking matters into our own hands."